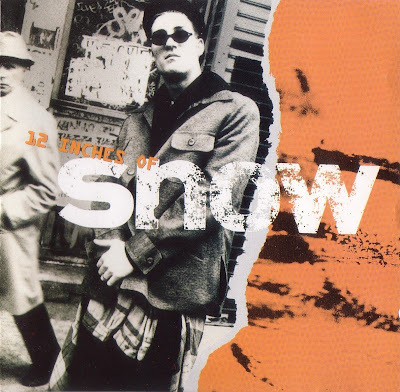 It is hard to believe that it was 18 years ago this month, that Darrin O'Brien, also know as the Canadian reggae artist Snow, released his debut album '12 Inches Of Snow. Fueled by the single 'Informer' which held the top spot on the U.S. Billboard Singles Chart for an unbelievable seven weeks in 1993, Snow went on to earn a Guinness Book Of World Records designation for having earned both the biggest selling reggae single and highest charting reggae single in history. 'Informer' went on to sell 8 million units worldwide and 3.2 million units in the U.S. Those two facts alone still boggle the mind. While the merits of O'Brien's songs and chatting skills have been debated and he is often denigrated as a 'one hit wonder', his story is worth reflecting on because in the long run, it can be argued that he helped to further popularize reggae and dancehall reggae in particular, opening many Americans ears to the sound for the first time. As the product of multi-cultural Toronto, O'Brien was raised in the Allenbury Gardens housing project which included a large number of Jamaican immigrants. It was here at age 15 that O'Brien learned to love Dancehall reggae and learned to chat and toast from Jamaican friends. It's also where he ran into trouble with the law and those experiences informed much of '12 Inches Of Snow' and the song 'Informer' in particular. Nevertheless, Snow's musical legacy remains mixed. Though he later gained immense credibility in Jamaica and with Jamaican dancehall artists recording the hit 'Anything For You' with Beenie Man and Buju Banton, he is still trapped by the immense popularity of 'Informer' and remains misunderstood by many. Indeed, fellow Canadian Jim Carey's video 'Imposter' from the TV show 'In Living Color' may unfortunately be what most people remember about Snow. There is some squirm-inducing cultural appropriation here but the song stands up and Snow was no Pat Boone. I agree Jeffen. It would have been interesting if Snow had tried singing in his voice instead of mimicking Jamaican patois. Despite his one-hit wonder status he's carved out a decent career outside the US market and he's seen as a credible artist in Jamaica. Hi Marc, great to hear the story of Snow from an American perspective. I didn't know that his single and album were SUCH great successes. And I hadn't seen the Jim Carey video. Hilarious! When the song came out in Germany I was a writer for a music magazine. And I remember how the A&R people were praising it as one of the world wonders that a guy was chatting in patois, and that he was WHITE. Well, you could say that's their job, but I didn't (want to) see the point. To me the track was okay, but not much more. When it came to Non Jamaicans with Patois lyrics I was into Apache Indian http://www.youtube.com/watch?v=D_bdl6TS1tg&feature=related. But ethnicity and authenticity are such difficult and interesting topics, looking forward to find out more. Thanks for writing this post.